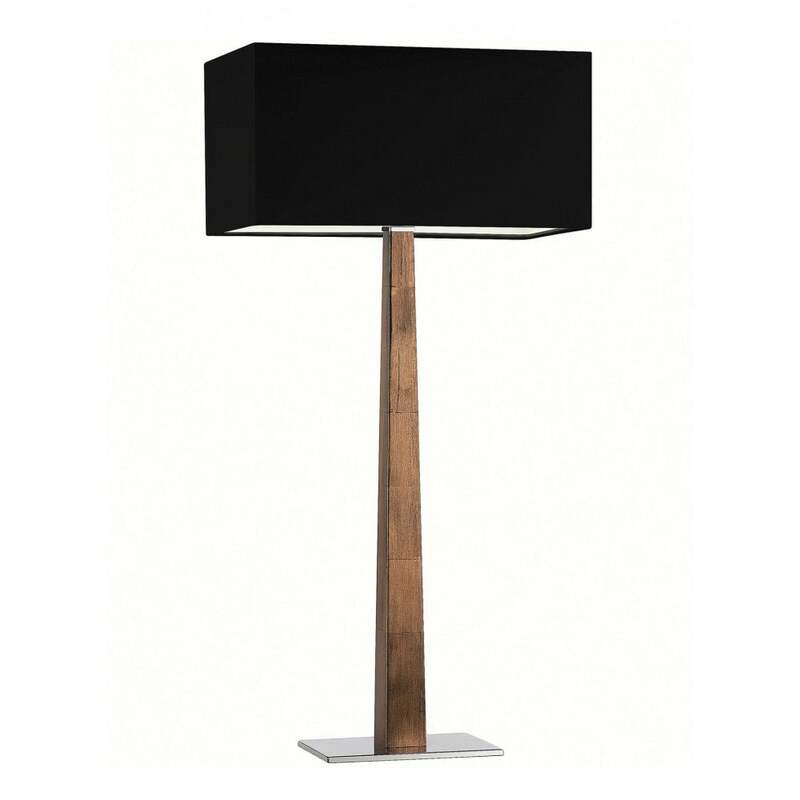 The Luxor Table Lamp by Heathfield & Co features strong, clean lines that are expertly crafted from the finest wood. Three hand-painted metallic finishes are available as well as a deep, dark wenge option. This striking lamp will add bold sophistication to a bedside table or console suiting both contemporary and traditional interior schemes. The classic wenge option will look beautiful in an art deco scheme mirroring the strong forms and shapes that are synonymous with the design period. The copper, silver and gold hues will add a touch of luxury to a minimalist, monochrome space. Complemented by a solid chrome base and a premium, rectangular shade, a wide selection of fabric and colour options are available. Make an enquiry for more information. Priced for 16" Straight Rectangle shade in silk with white PVC lining. Please contact us for other options.